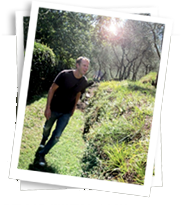 This full day tour, with Paolo (see his biography below) lasts about 8 hours and focuses on the hills of Florence, scattered with private historic villas, castles and gardens, some of which will be opened for you by their owners. Paolo will pick you up at your villa in the morning. 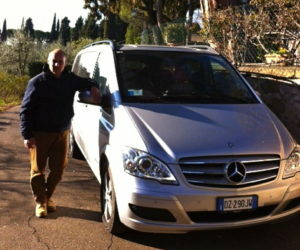 The first stop is Settignano, a small hill town where it is rare to see tourists. It is now one of the most beautiful areas on the outskirts of Florence. Its history is tied to the Renaissance stonecutters among which a few became world renowned artists: Michelangelo, Desiderio, Rossellino, Ammannati. The views of Florence you will enjoy from the stonewalled streets are breathtaking. Some of the old roads were once the paths Michelangelo walked daily to the grey-stone quarries as a young child. Brunelleschi came up the quarries to chose the stone for its Duomo. 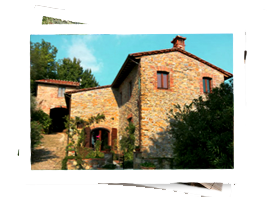 We will visit a villa garden considered among the most beautiful examples of Italian gardens in a private home. Lunch will be in a family run local trattoria with local residents having lunch next to you and not the usual tourists. A short drive to Fiesole with its magnificent view over the city of Florence will inspire us like it did inspire the work of the stonecutters who made Florence. Da Vinci came here and found the perfect steep hill from which he experimented its prototype for the flying machine. The Medici family chose this area for one of their country villas in the 15th century. The town of Fiesole’s main square offers local ceramics, handcrafts shops and a small archeological site with Etruscan and Roman collections in the museum.